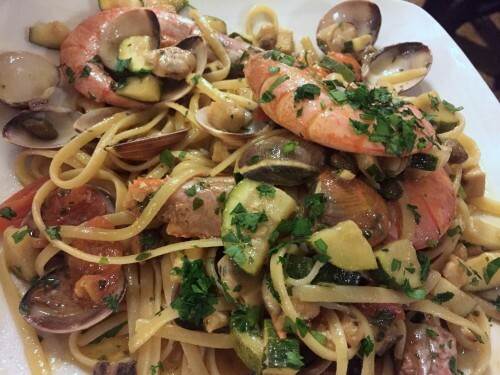 Oh, the food of southern Italy! This is what the Mediterranean diet is all about – delicious pasta, lots of olive oil, plenty of vegetables and fish, with just a bit of meat thrown in here and there. 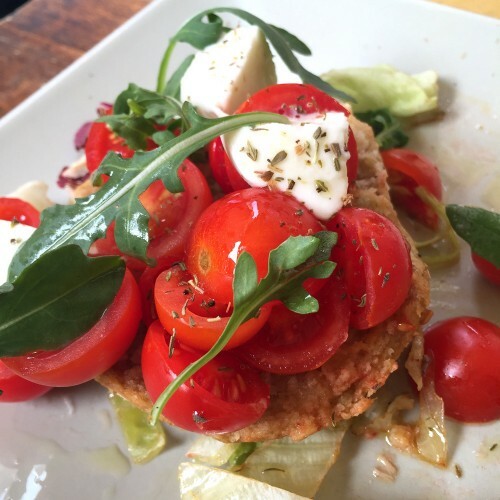 I recently spent a month in this magical part of the world, and if you go, here are some of the dishes you will enjoy, starting with la capunata, a traditional salad from the region of Puglia that is based on the dried barley bread known as frise. 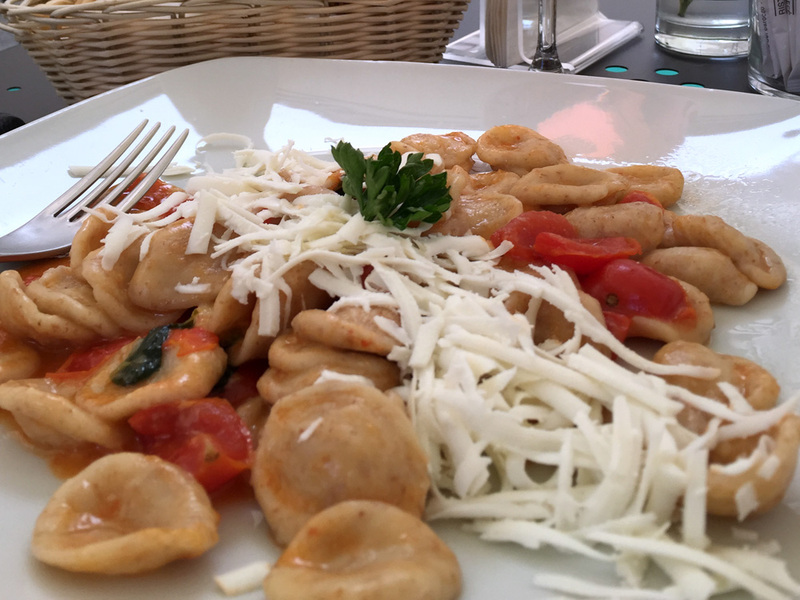 You will find the frise topped with all sorts of things in Lecce, but my favorite is the simple tomatoes, arugula, and some cheese with lots of delicious extra virgin olive oil. Here are some of the other classics we enjoyed through the trip. 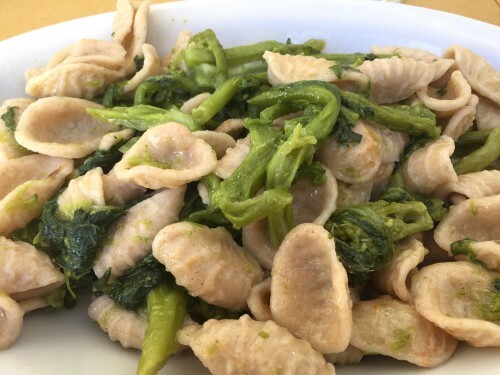 Orecchiette – in Puglia the pasta is made with some barley flour to add heft to it, and this lamb’s ear shaped pasta is usually served either with tomatoes and shaved cacioricotta cheese, or with sautéed rapé or turnip greens. 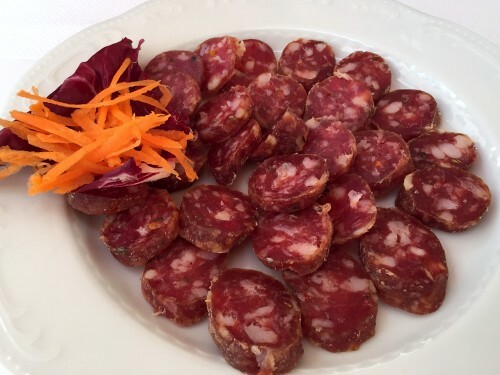 I love it both ways, and had it several times during my time in Puglia. 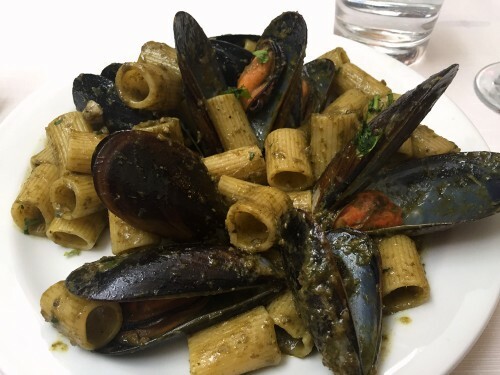 Cozze – mussels are popular here and are pulled from the salty Ionian Sea, so don’t make the mistake of adding more salt to the dish! They are served in soups, on their own, or in pasta dishes like this one with some basil pesto. 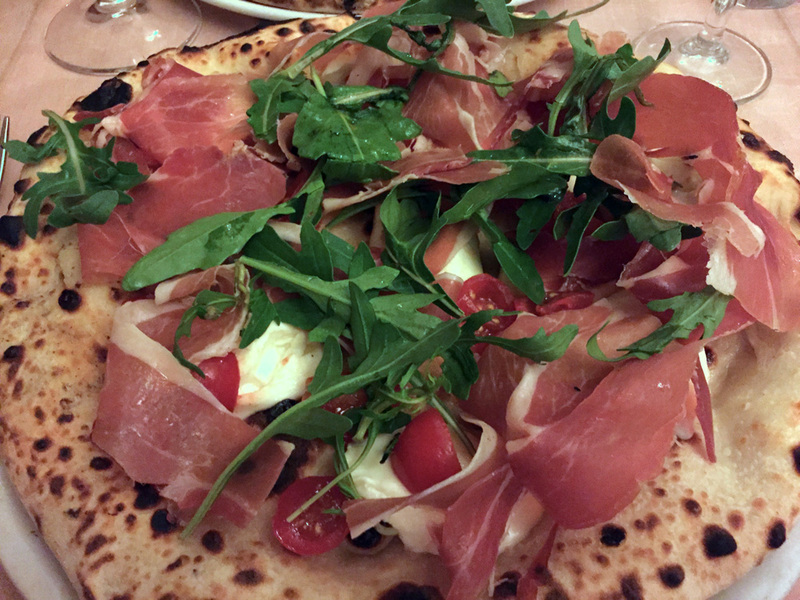 Pomodori – we couldn’t get enough of the tomatoes during our travels. For one things, Italians only really eat fresh tomatoes when they are in season, and with the warmer climate here, they were at their height of freshness still. 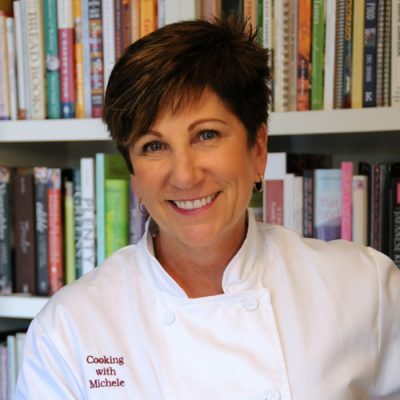 And if you can get your hands on the little Pacchino tomatoes (from the town of the same name), you’ll be spoiled for life. Although San Marzano tomatoes may be well known for making sauces, the pacchino tomatoes are, in my mind, the best for eating raw. 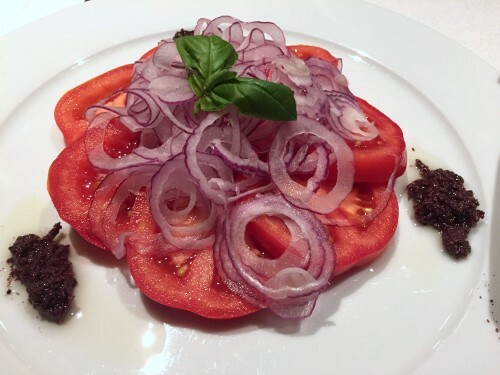 At Villa Ducale they were served with very thinly sliced red onions and some olive tapenade, but we frequently just had a big old bowl of them for a lunch salad. 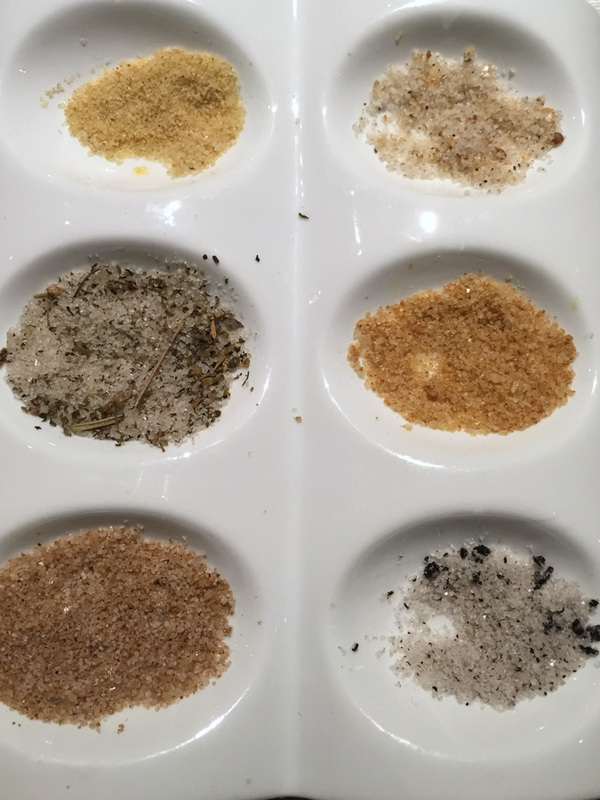 Sale – it makes sense since they harvest salt from the Ionian Sea that it would be fun to taste it, but never have I been offered a salt tasting/pairing with a meal like we were offered for dinner at Villa Ducale. Note: If you stay here, spend your days in town or hiking or on Mt. Etna, but return to the hotel for dinner. 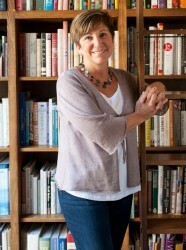 That same lovely breakfast room is transformed into a romantic dinner spot serving fabulous food and wine. 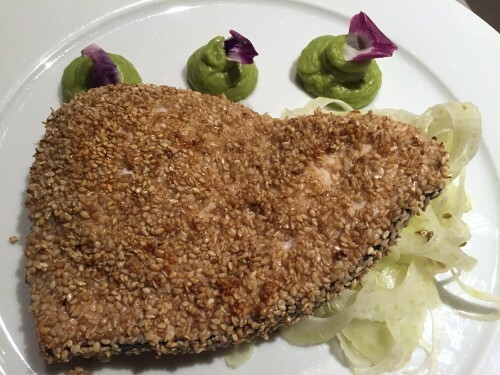 Pesce spade – or as you might know it, swordfish, is big around here. 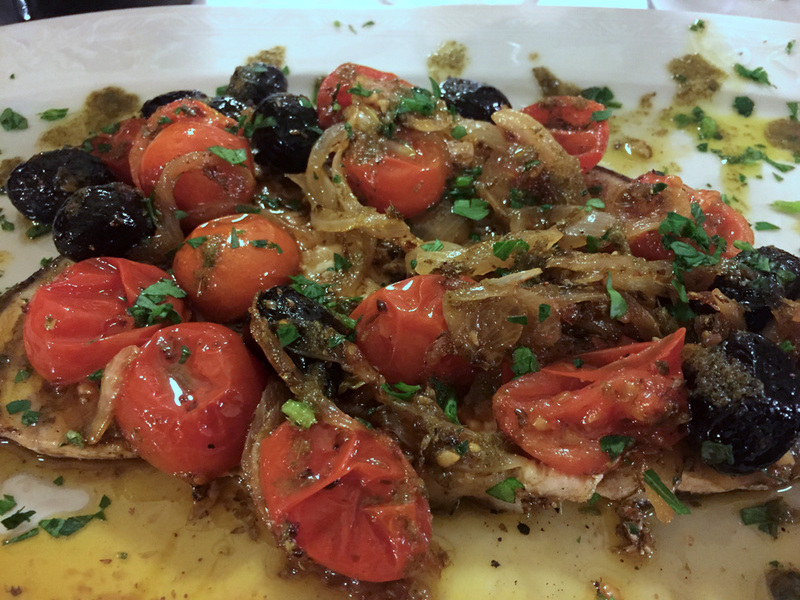 You can find it served in a variety of ways, like the sesame crusted steak over fennel with minted potatoes, but the most traditional Sicilian style is with tomatoes, onions, olives, capers, and olive oil – and yes, there is actually fish under all of that goodness! You’ll also see lots of other fish – at this time of year spigola (sea bass) was on every menu we encountered (and was delicious). Although I’ve loved mussels for years, I have never gotten into the clams I’ve seen offered in the US, finding them too large and chewy. 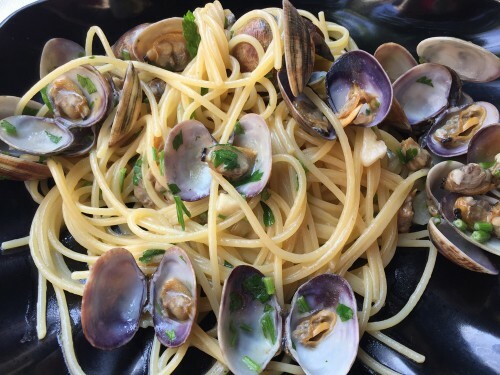 But thankfully I ordered Spaghetti alle Vongole (spaghetti with clams) on a whim one day, and fell in love with these tiny sweet clams from the region. I must have had this dish five times in ten days, never tiring of it! 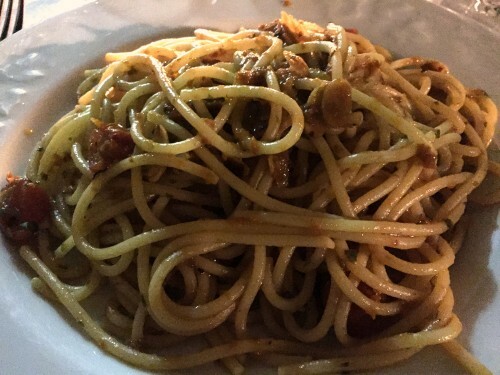 I probably also had this other classic dish, Spaghetti Algio e Olio, five times as well. 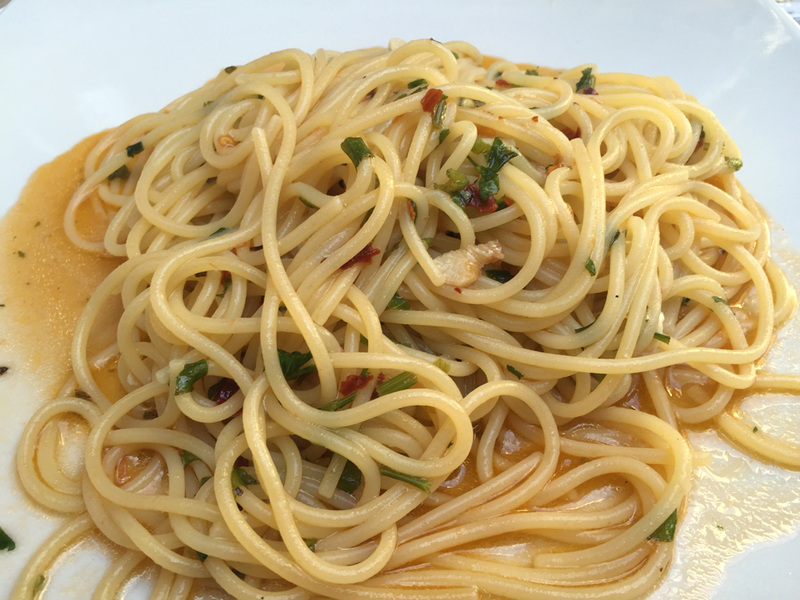 It could not be simpler: spaghetti with sautéed garlic, olive oil, some parsley, a few chile flakes, mixed with a bit of the pasta cooking water to create a light sauce, and boom, that’s lunch. Pair it with a nice crisp white wine from Sicily, and I’ve never been happier. Why have I never made this at home? You can bet you’ll see it soon on this blog. 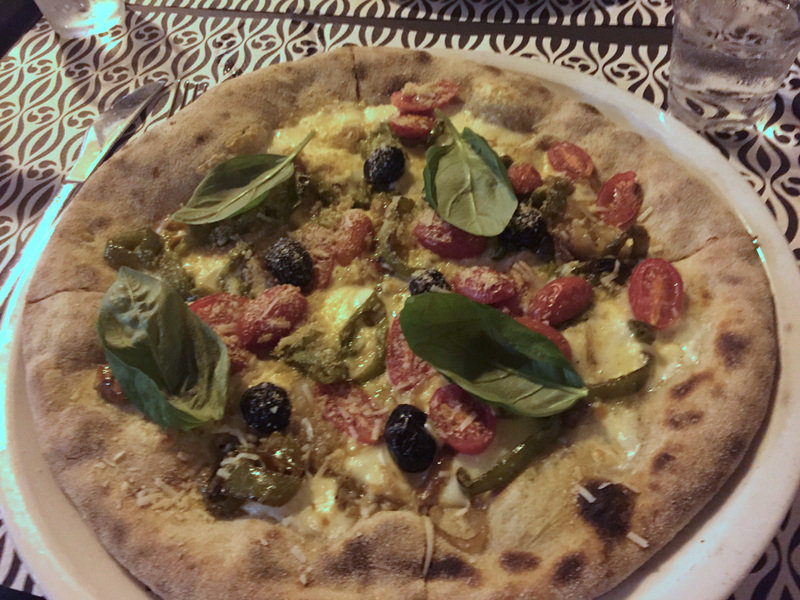 The pizza in southern Italy is not quite as thin as I usually get in Tuscany or Rome, although I’d still technically call it thin crust pizza. But more importantly, the crust has the most delicious flavor and chewiness to it, and everyone who had it (well, that means everyone on the trip) loved it. Italians don’t generally share a pizza as they consider them to be “normal” sized (the response you’ll get when you ask how big the pizza is), and they use a knife and fork to eat them. If you leave some of the crust, you can probably make it through most of one on your own. They are generally cheap, so even if you think you can’t finish one, get one for each person and you can try different varieties. 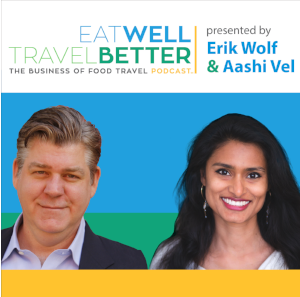 Forget what you think the term pesto means – you’re probably think of that creamy basil concoction that’s actually from the north of Italy, from Liguria around Genoa and Portofino. Sicilian pesto (pesto alla trapanese) is actually made from the foods of this area: sundried tomatoes, garlic, olive oil, and almonds. And it’s good – really good! – when tossed simply with spaghetti. 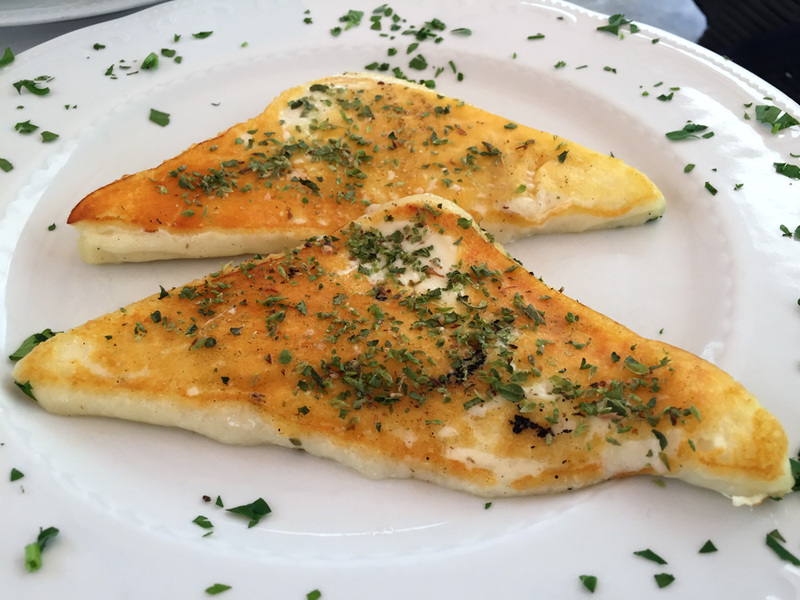 I don’t know if fried cheese like this with oregano on top is really a classic dish of Sicily, but we had this in Ragusa and it was irresistible… …as are the many varieties of dried cured sausages (salami) you’ll find in Sicily. Southern Italy is sort of into chile flakes, and it’s reflected in the heat of some of the salumi, so ask before you purchase, and by all means share, as these morsels are quite rich. Insalata Mista – this is something you can count on from north to south through Italy. There are generally two types of salad on every Italian menu (you’ll find them in the contorno section with the other vegetables and side dishes) – verde or green, and mista or mixed. And they are just what they sound like. 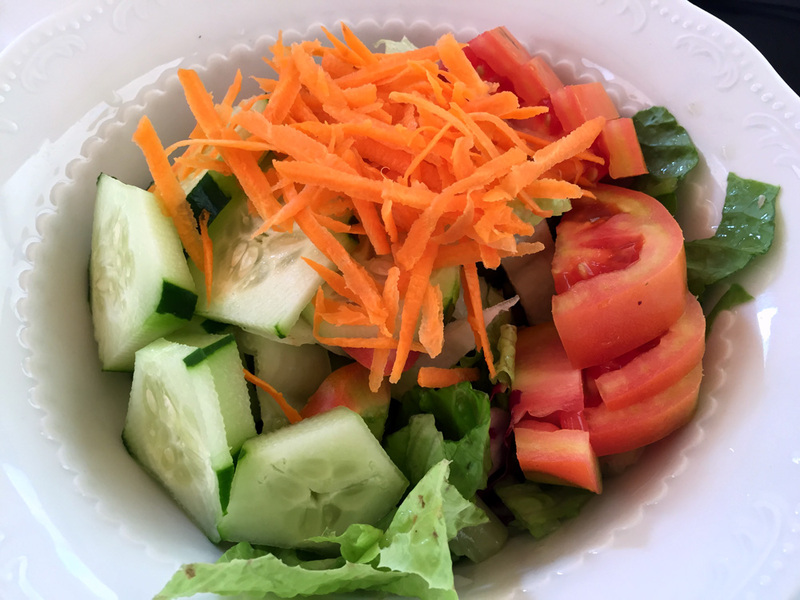 A green salad is simply greens – usually lettuce and arugula – whereas a mixed salad typically has greens, tomatoes, carrots, cucumbers, some radicchio if you’re lucky, and sometimes corn kernels. 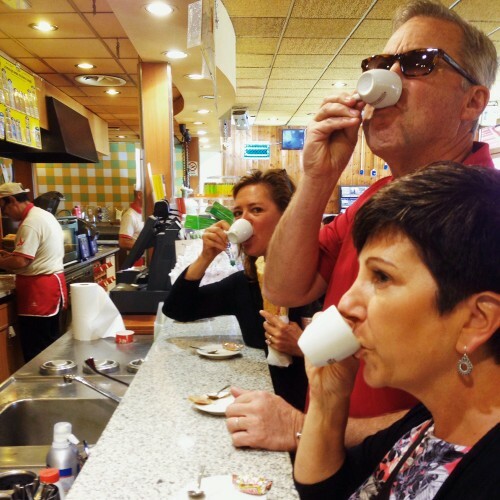 The size and quality may vary, but the format is pretty much the same everywhere you go in Italy. Salads are traditionally served after the meal and before dessert here, but they will bring it first (prima) if you request it. They never come dressed, but your server will bring a bottle of olive oil and a bottle of vinegar to the table along with some salt and pepper so that you can dress it to your own taste. Although tagliatelle and fettuccine are most likely from northern Italy originally, you will find these pastas on modern day menus in the south should you need a break from the traditional dishes. 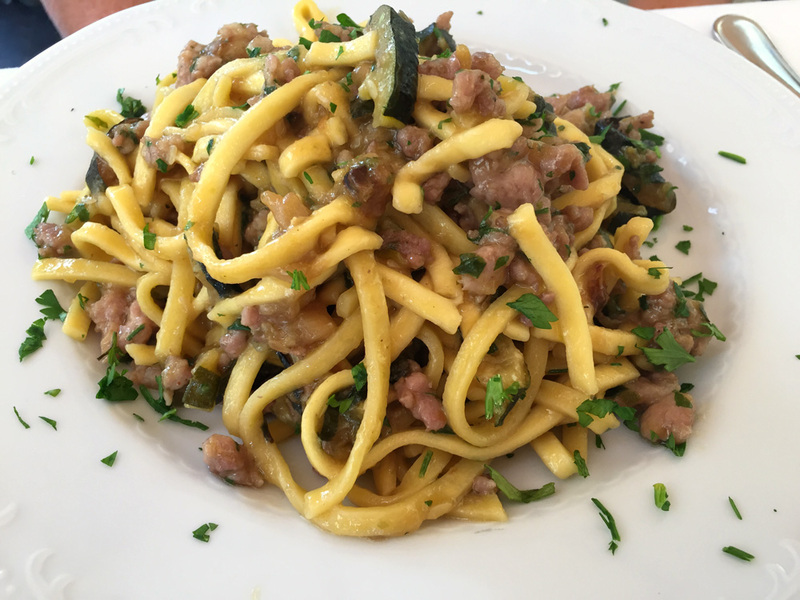 Here it’s served with sausage and zucchini – and it was delicious! A more traditional Sicilian dish is this short pasta with broccoli, anchovies, and breadcrumbs. 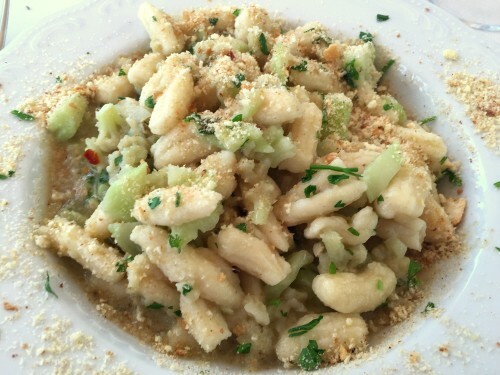 The anchovies dissolve into the sauce for the dish, leaving behind a distinctly briny taste that is heavenly, and the breadcrumbs add some nice texture. 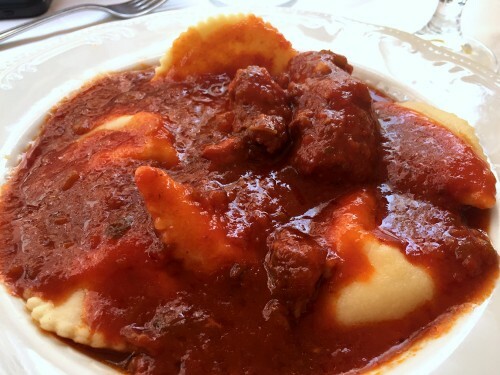 Ravioli is another perplexing dish from an historical perspective. While some think it comes from the north, there is some evidence that it dates back to Sicily prior to that. Either way, my husband was mighty happy to find this version: stuffed with ricotta and served with a hearty tomato sauce and a nice chunk of fresh pork sausage. Spaghetti Marinara should not be confused with what we call spaghetti with marinara sauce in the US. My friend, hoping for a simple and “safe” dish to eat before boarding a long flight back to the US ordered this, expecting basic tomato sauce. 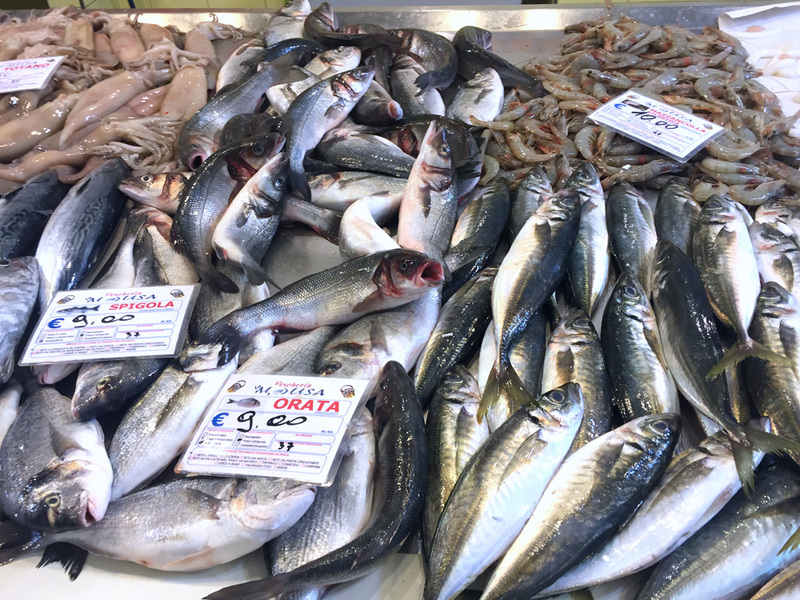 Instead, it had every known thing from the sea (mare means sea) you could think of in it: mussels, clams, shrimp, octopus, squid, fish. We were in Catania at a famous hole in the wall place right next to the fish market for lunch before leaving Sicily, so it’s not surprising this was on the menu. It was delicious, just not not at all what he thought he was getting. I dug into this so fast I forgot to take a photo, so snapped the uneaten portion of my Pasta alla Norma. 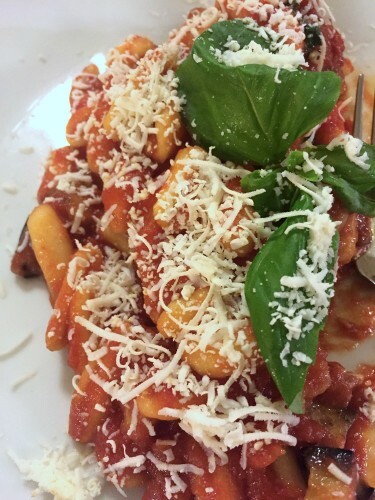 You’ll see this traditional Sicilian recipe on many menus – it’s made with sautéed or fried eggplant tossed with tomato sauce and topped with shaved ricotta salata cheese. It’s usually served with some basil, which interestingly, was still growing profusely in this part of the world late into October. Lucky them. Canoli – they come from Sicily, and are filled with sweetened ricotta that in this case was dipped into crushed pistachios (Sicily is supposed to have the best, but I found them to taste like any other pistachio I’ve had). 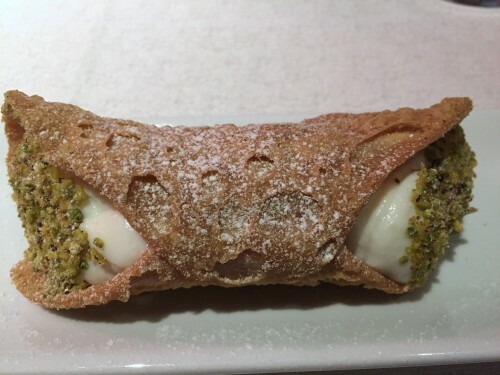 We had to have a canolo just to say we did, but honestly, I’ll take a nice cup of pistachio gelato over this sweet treat any day. One of my favorite things about Italy, is that you can get great food at the most unexpected places. That includes fabulous coffee drinks at the AutoGrill places along the autostrada, as well as this spread of food from a cafeteria-like place in the Catania airport. 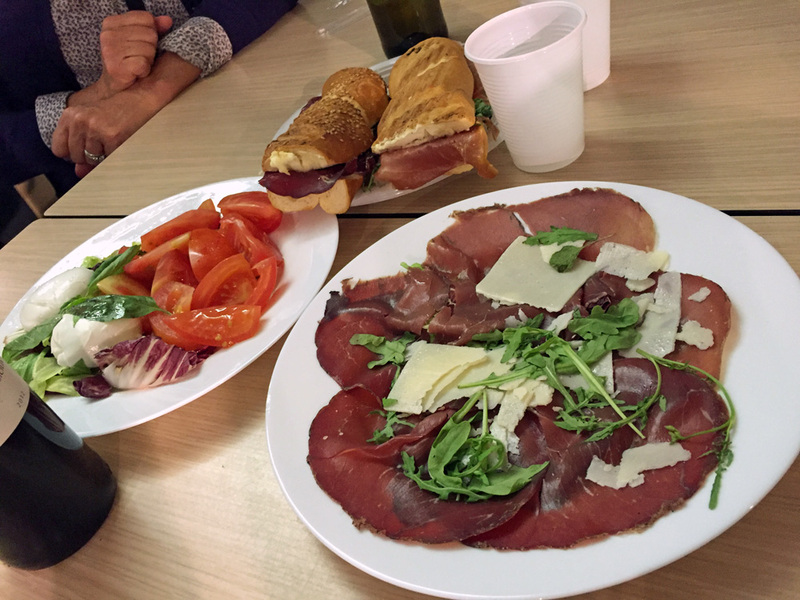 I mean really, great panini, braesola with shaved grand padano cheese and arugula, and very fresh salad – oh yea, and we ate a bunch of pizza that I didn’t even take the time to photograph. Nothing like stuffing yourself before you leave a country! 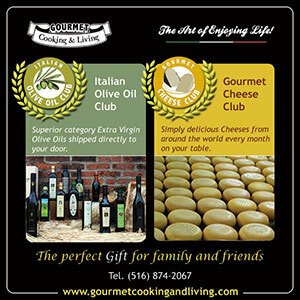 Stay tuned for Part Three in this series (on Thursday) where I’ll cover wine tasting and olive oil in southern Italy.